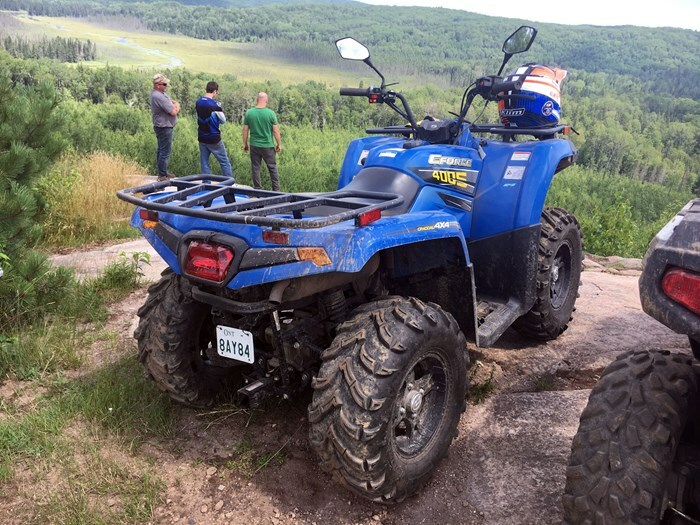 CFMOTO ATVs and SXSs are definitely some of my favourite off-road machines. Yes, I may seem biased as I was recently hired by the company as the new Events and Communication Specialist but I chose to take the position because I truly believe in the quality products that they produce. My first encounter with CFMOTO was two years ago when I raced one of their SXSs, a ZFORCE 800, in a 2-hour endurance race in Quebec. 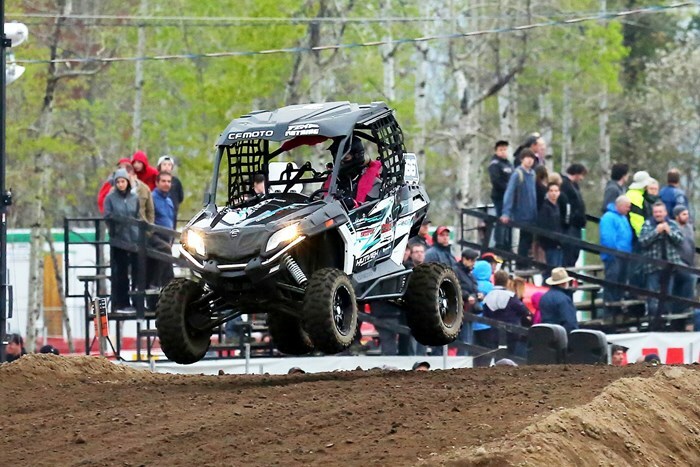 After an insane race against Can-Ams, RZR and custom off-road vehicles I was so blown away by CFMOTO that I knew they would soon be a force to reckon with. 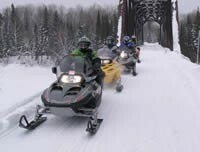 Shelby Mahon racing the ZFORCE 800 in the 2015 La Tuque endurance race. 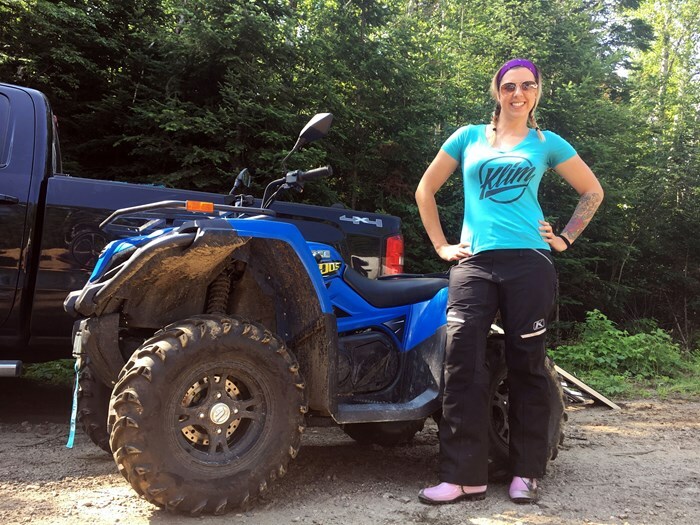 A few weeks ago, I had the great opportunity to take one of my favourite CFMOTO ATVs, the CFORCE 400LX, to one of Ontario’s 4-season powersports playgrounds, the Madawaska Valley, for an amazing adventure with the Renfrew County ATV Club. I know what you’re thinking, a 400 series ATV can’t be that impressive, let alone how can it be one of my favourites? But it is! 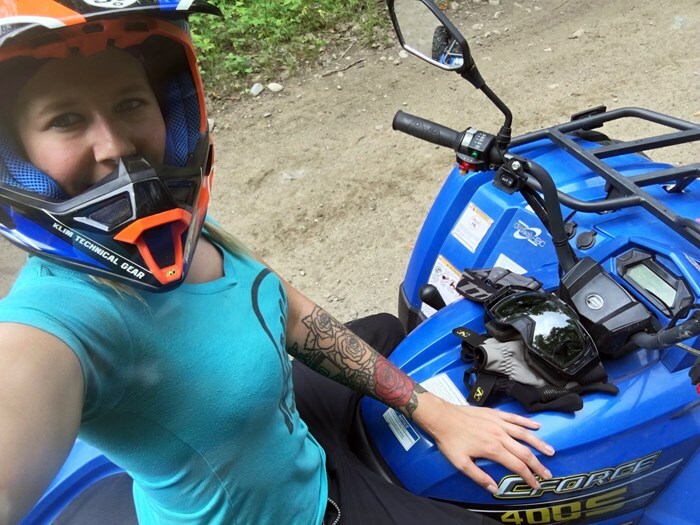 And at only $4,995 MSRP, my favourite little ATV will be your favourite too. Or at least your kids or wife’s favourite! 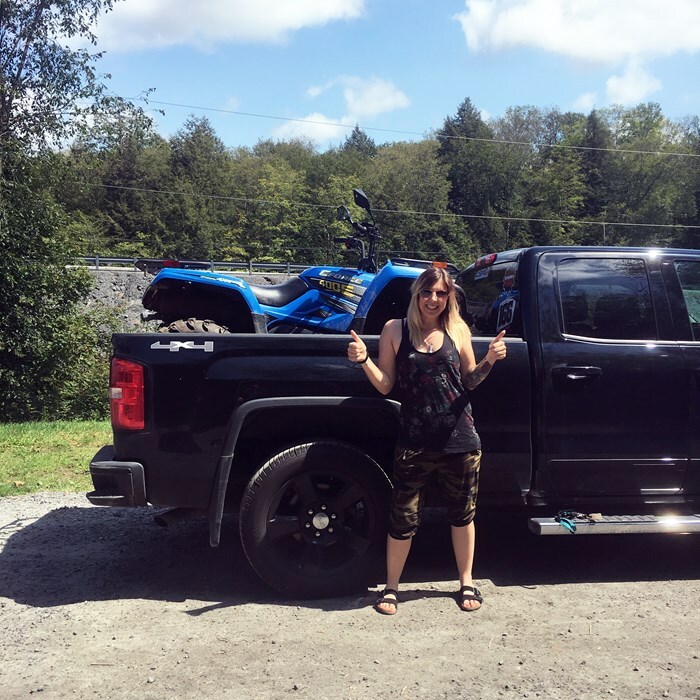 After picking up the unit from my local CFMOTO dealer, Rosseau Road Powersports, I was blown away by one more very important factor about the CFORCE 400LX. With the 1-up coming in at only 43.3 inches wide and 82.43 inches long, it fits perfectly in the back of a standard truck bed with the tailgate closed! I don’t think I’ve ever had an easier time loading or traveling with an ATV. The CFMOTO CFORCE 500 also comes in this chassis if you want a little more BRRAAAPPP! 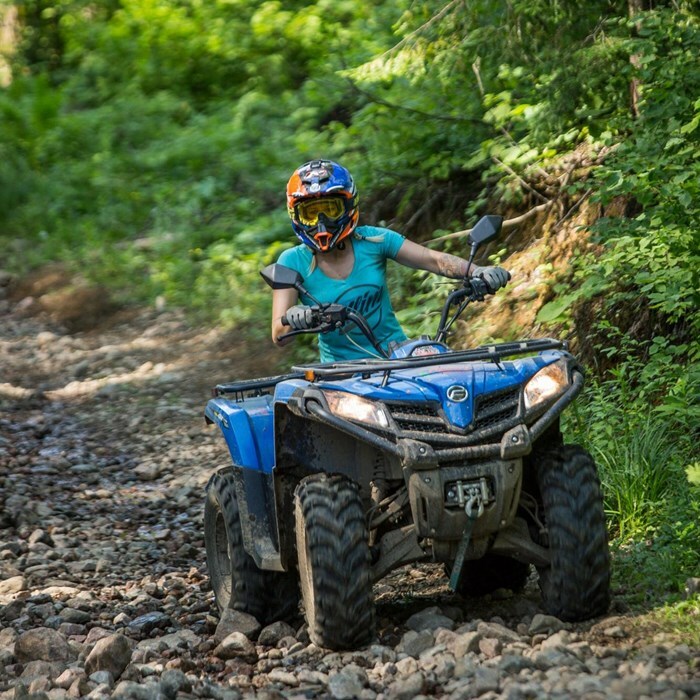 Many of the municipalities in the Haliburton Highlands are of the growing number of places in Ontario where ATVs and SXSs are allowed to use the local roads. 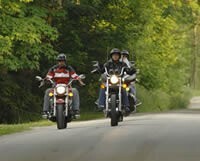 Of course, you need to have proper insurance and safety features but it just so happens that CFMOTOs come standard with signal lights, 4-way hazard lights, brake lights, mirrors and a horn. Along with the full info gauge cluster showing everything from gas levels, oil pressure, odometer, clock, voltage and fuel levels and you’re set for an adventure! 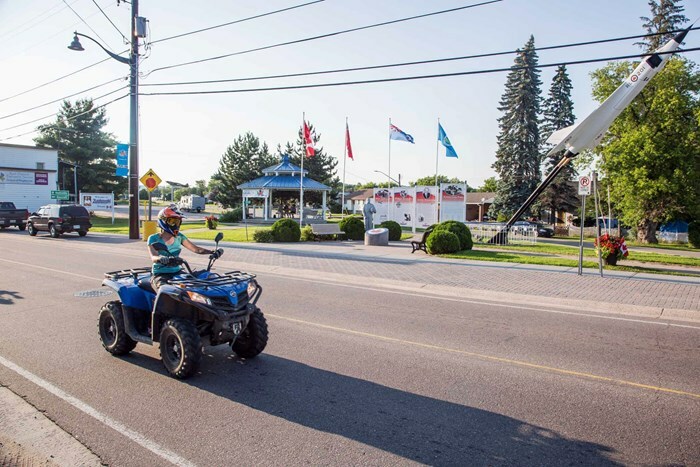 As our adventure in Ontario’s Highlands began so many things came into play. The electronic power steering was the first noticeable standard upgrade that I noticed. Having EPS on a machine this size and at this price point is incredible and super handy! 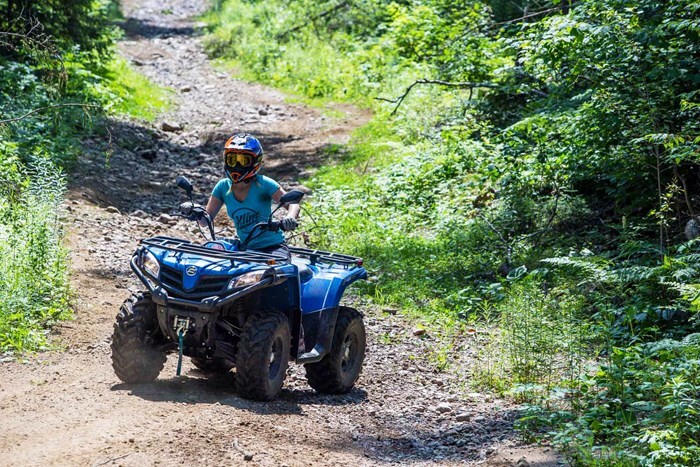 I hate having to work harder than needed while out trail riding and the EPS on the CFORCE 400LX certainly makes steering effort non-existent. The LX model line also comes standard with really gorgeous aluminum wheels and a 2500lb winch that sure comes in handy when your friends need a hand getting unstuck. The winch comes in handy if you get stuck, but with a killer power to weight ratio (31hp and 24 ft-lb of torque) very rarely will you get this little beast of a machine in over its head. We even went through a water crossing at 3ft deep and this little monster trudged straight through it! I was certainly thankful for the Sumitomo waterproof wiring and true 4-wheel drive. I have to mention the super smooth CVTech clutch and variable transmission that makes riding this little 400CC machine feel like riding on a cloud. The big comfy seat sure helps out with that to. Now I know you’re going to roll your eyes at me but I am sadly one of those people who can’t be far from my cell phone. Running my own business and being in the communication industry means my phone is part of my body. I always worry about my phone dying while I’m out riding. Thankfully, it’s CFMOTO to the rescue with their standard 12V auxiliary and USB plugs right on the machine! A 400 series ATV might not scream yard work helper but I am definitely going to recommend you give this little guy a shot. With a towing capacity of 620lbs, a 2” trailer hitch and trailer connector all coming standard, it’s the perfect complement to your yard work machines. Small enough to fit into the most stubborn places in your yard yet powerful enough to lug around all firewood or garden supplies. You could even tow a small boat when needed. When you factor in these accessories and a price point of only $4,995 you’ll be acting like that lady from the IKEA commercial as you run out of your local CFMOTO dealer yelling “start the car!” It’s not a mistake, just a really good deal for a quality ATV. Enjoy!